I took a little blog break these past few months (a story for another time) and that time has seemed to fly by in a blink. Last week I went into New York to spend an evening getting a jumpstart on the holiday season with BabbleBoxx. 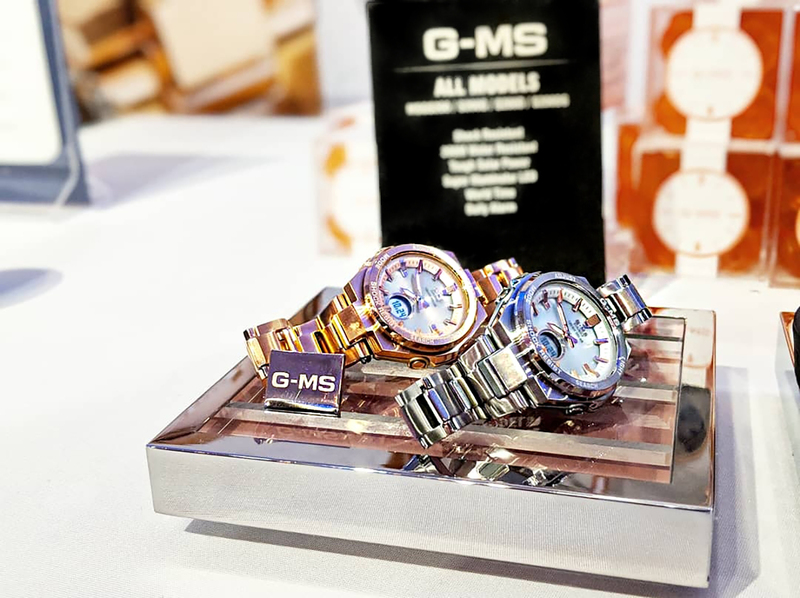 While indulging in glitter-dusted cotton candy the Casio G-Shock Timepieces caught my eye. 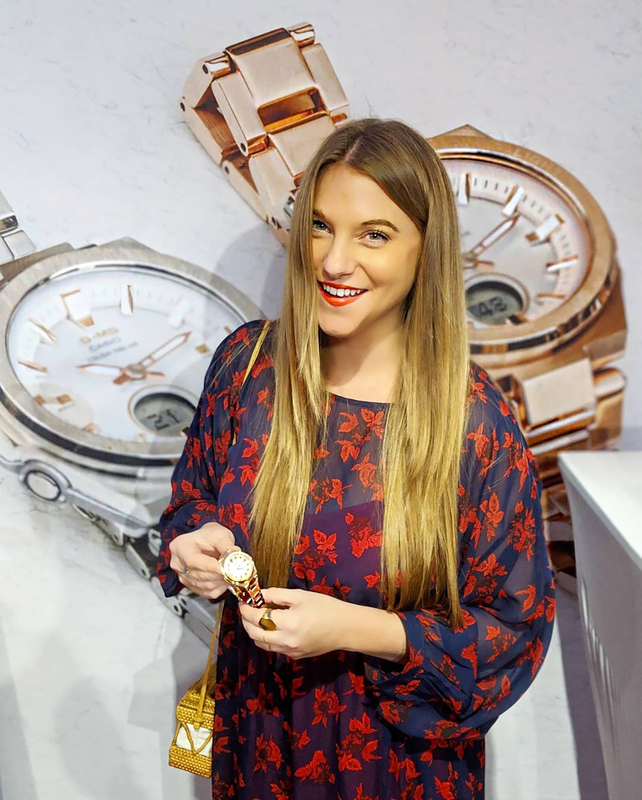 For the longest time I wouldn’t leave the house without my rose-gold faced watch, but to be honest, it was always just a little too clunky and a little too heavy so that once the battery died, I never bothered to get it changed. So, of course, I was drawn to the upscale aesthetic of the G-Shock G-MS line being featured at the event. 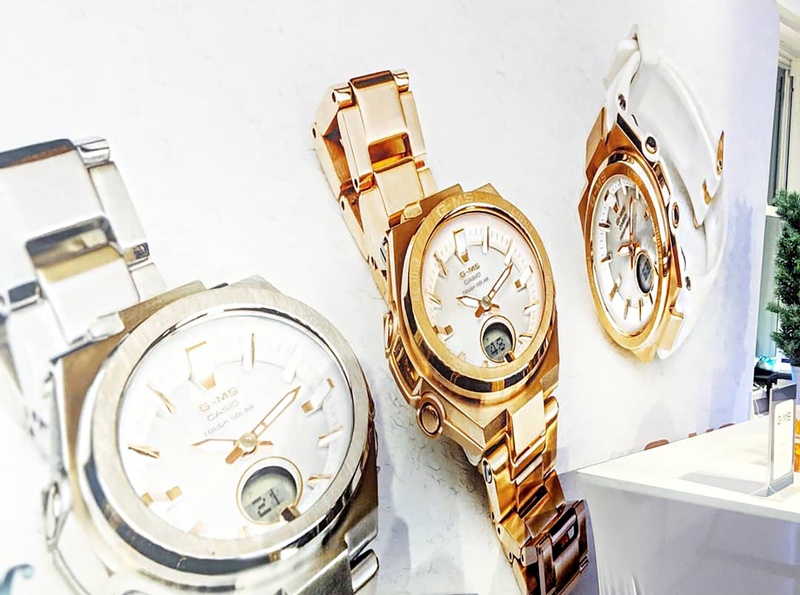 They’re surprisingly lightweight, a big upgrade from my past watches, yet the refined quality and luxe tones of the rose gold face still look substantial and on-trend. My first instinct was to reach for the style with the rose gold band and face, but I ultimately was more drawn to the practicality of the black resin band that was sleek and modern, classic enough to transition seamlessly from day to night. In other words, perfect for days when I’m running from work to dinner without much time to change, let alone re-think accessories. 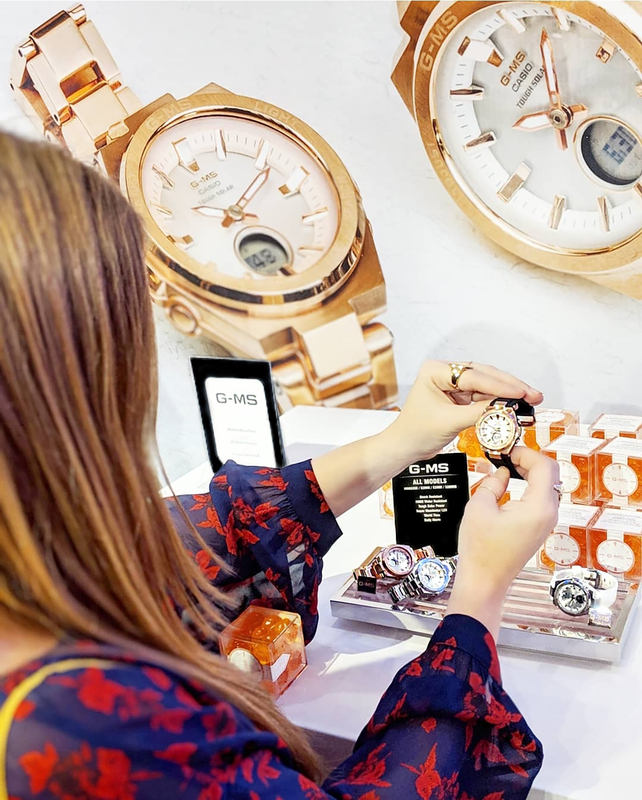 Not to mention it features a solar-powered battery, alarm features, and is water-resistant so there’s not much reason to ever have to take it off on a day-to-day basis. I know I was supposed to be seeking out ideas for gifts to give this season, but it can’t hurt if I happened to find a gift I plan to give myself in the process, does it?